Okay, I know I love just about every book I review. But honestly, I enjoy reading all sorts of books. This book, though – is one of the best fiction books I have read. Now, I may be biased, as I would love to adopt and a central part of this story relates to adoption. I also love the historical aspects the story offers about some events that take place in China. Finally, I enjoyed that most of the book takes place in Fort Worth (close to where I live) and Boston (where I have visited many times). This is a great story, I mean a great story! So often when we read a fiction book we are able to anticipate who it will end. For one thing, we know these kinds of books tend to end well, and sometimes it seems forced. The ending in Reclaiming Lily was great, it does end well, however I did not expect it to end the way it did. I loved the end. Another aspect of this story I enjoyed was seeing the characters struggled to understand what faith in Jesus really looks like. Surprisingly, the hero of this story is not a Christian, one of the Christian characters is not what you would expect. This lines up much more with the “real life” I live and I appreciated that “real” aspect to the story. I think the reason I loved this book, is that it is based on real life events. The author modeled each of the characters after people she knew. She knit together a story a bit tighter than the real people in her life, but I think since they were based on real people who went through much of what she writes about. I felt a true, real connection to them. This is story about real people. The pastor’s wife who struggles with insecurity and fear. The teenager who wants to figure out where she fits in. The doctor who wants to save, but needs to be saved. I highly recommend this book. I read it in about 3 days and found myself, days later, wishing I was not done, wanting to reconnect with the characters I came to love. Gloria’s relationship with her daughter is tattered and strained, and the arrival of Kai, despite the woman’s apparent good intentions, makes Gloria fearful. Gloria longs to restore her relationship with Lily, but in the wake of this potentially devastating diagnosis, is Kai an answer to prayer–or will her arrival force Gloria to sacrifice more than she ever imagined? Patti Lacy graduated from Baylor University with a BS in education and completed master’s-level courses in English at Indiana State University . 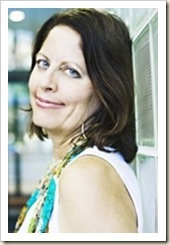 She taught at Heartland Community College until May 2006, when she resigned to pursue her passion of writing. The author of three previous novels, Patti is the mother of two grown children and lives with her husband in Normal , Illinois . 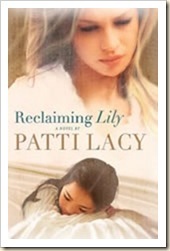 Note : I was provided a complimentary copy of Reclaiming Lily by LitFuse, in exchange for an honest review. Janelle, readers like you are manna to a writer's soul! Truly a highlight of my writer's career was commiserating with two wonderful critique partners as we tried to get this right.